Welcome to Hays Travel Ferndown where I am really proud to be the Manager. I have worked in the travel industry since leaving school and originally joined the company in 2010. I am also our resident Cruise Expert after recently spending 8 months with P&O Cruises sailing to Norway to see the Northern Lights, the Mediterranean, Baltic, Canaries and South America. But favourite places so far is Mauritius & Brazil. Vanessa is a very experienced Travel Consultant who has travelled extensively around the world and has visited the Mediterranean, Caribbean and Dubai. Her most recent adventure was to Florida where she visited all the Disney and Universal theme parks and has lots of great tips and advice on how to make the most of your Orlando holiday. Martine has rejoined us a Travel Consultant after being our Foreign Exchange Consultant for many years. She has a genuine passion for helping customers arrange their holidays. She has travelled to many places across the globe but her all time favorite is Barbados. Samantha started with us as an apprentice two years ago and really enjoys helping our customers plan and arrange their holidays. She has visited the Caribbean which she absolutely loved but her favorite destination of all is Egypt. Sharon joined our team in July and will be looking after all of our customers currency needs and will have some great advice on our Foreign Exchange. Pop in and see her for the best rates in town! Megan is our 1st Year Apprentice, she joined our team in August and is eager to learn all things travel and meet all our lovely customers. Alex started with the company as an apprentice three years ago in our Broadstone branch, before moving to Wimborne and Ringwood, but we’re really glad he’s recently decided to join our team back in October. We are a lovely team who have a genuine passion for travel and our customers. We pride ourselves on offering fantastic customer service to all no matter what we are booking. We specialise in everything from Cruising and Tailor-Made trips to Beach Breaks and English holidays. Our team at the branch and took part in an in-store biking event in support of SUDEP Action. Eight of us cycled 152 kilometres in 9 hours. We chose this charity as it is close to our hearts. Yolande's cousin passed away 5 years ago due to SUDEP at the age of 25. We are very proud of the hard work we put in and despite the sore legs and numb bottoms we had a great day. 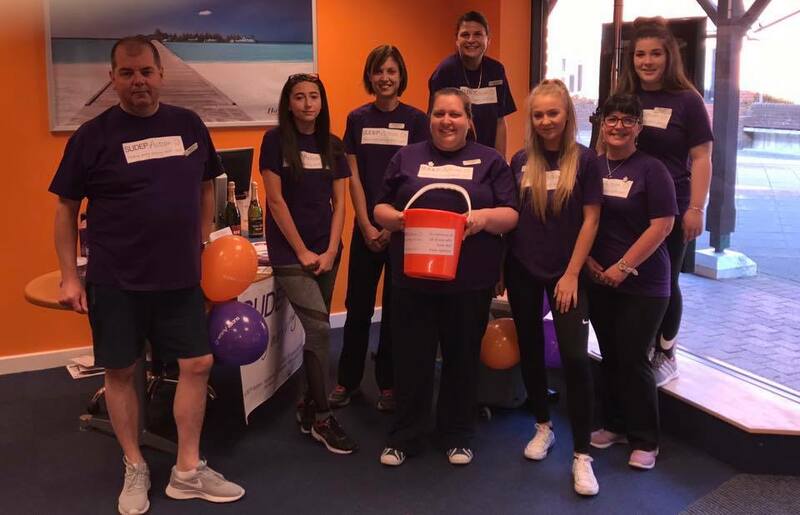 We raised a total of £192 for SUDEP Action, who aim to prevent epilepsy-related deaths and to support those bereaved from epilepsy. Whatever type of holiday you're looking for; we'll be delighted to help. Come in and see us – we are located in the main pedestrianised area of Ferndown, just around the corner from Tesco.